Coffee/tea for two thermal trio in travel case. 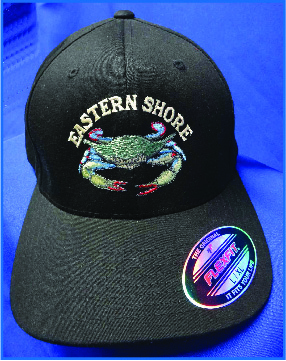 Case embroidered with Eastern Shore Way of Life and Thermal trio imprinted with the same. Coffee/tea for two thermal trio in travel case. 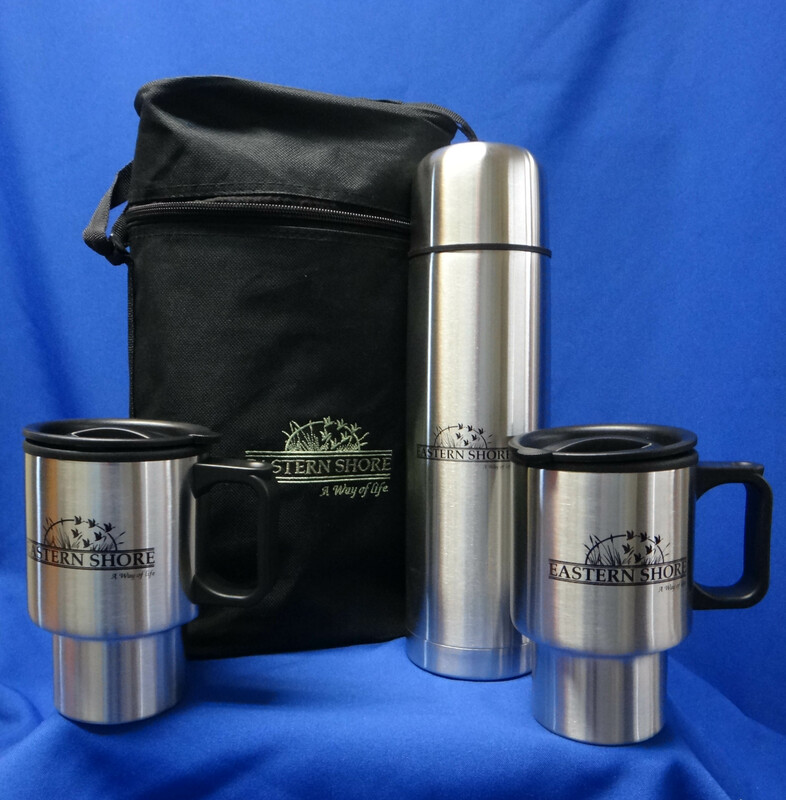 Nylon travel carry case holds 2 (16 oz) thermal tumblers and matching 28 oz thermos. 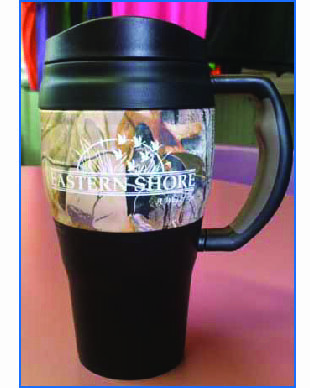 Mugs have a synthetic resin interior and screw on anti-splash lid with sliding tab. Thermos cap with locking lid and cup. 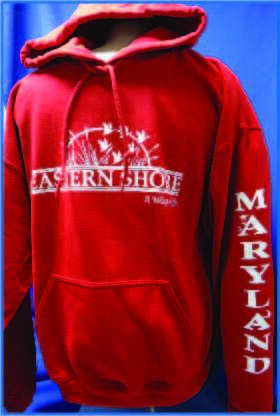 Presented in a black nylon zippered case with adjustable shoulder strap. 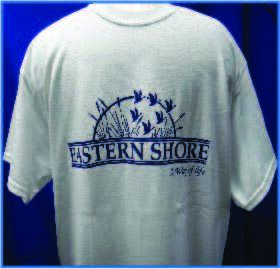 Case embroidered with Eastern Shore Way of Life and Thermal trio imprinted with the same.